Little Women is a novel by American author Louisa May Alcott (1832–1888). 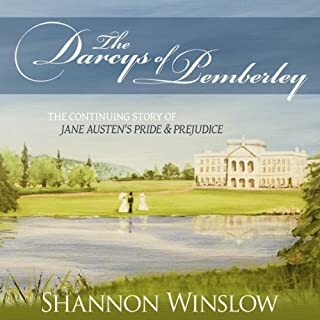 The book was written and set in the Alcott family home, Orchard House, in Concord, Massachusetts. It was published in two volumes in 1868 and 1869. 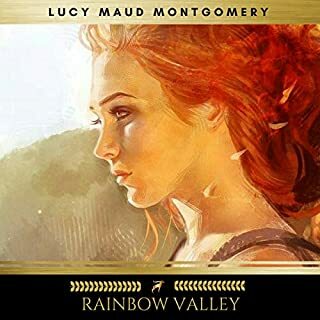 The novel follows the lives of four sisters – Meg, Jo, Beth, and Amy March – and is loosely based on the author's childhood experiences with her three sisters. The first volume, Little Women, was an immediate commercial and critical success, prompting the composition of the book's second volume, entitled Good Wives, which was also successful. Both books were first published as a single volume entitled Little Women in 1880. Alcott followed Little Women with two sequels, also featuring the March sisters: Little Men (1871) and Jo's Boys (1886). Little Women was a fiction novel for girls that veered from the normal writings for children, especially girls, at the time. Little Women has three major themes:” domesticity, work, and true love. All of them are interdependent and each is necessary to the achievement of a heroine's individual identity. Little Women itself “has been read as a romance or as a quest, or both. It has been read as a family drama that validates virtue over wealth.” Little Women has been read “as a means of escaping that life by women who knew its gender constraints only too well.” Alcott “combines many conventions of the sentimental novel with crucial ingredients of Romantic children's fiction, creating a new form of which Little Women is a unique model.” Elbert argued that within Little Women can be found the first vision of the “American Girl” and that her multiple aspects are embodied in the differing March sisters. Little Men, or Life at Plumfield with Jo's Boys is a novel by American author Louisa May Alcott, first published in 1871. 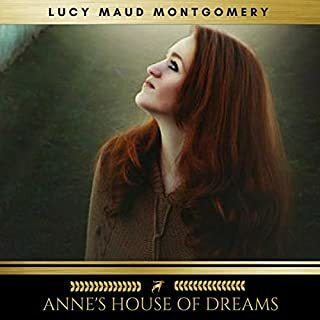 The novel reprises characters from Little Women and is considered by some the second book of an unofficial Little Women trilogy, which is completed with Alcott's 1886 novel Jo's Boys, and How They Turned Out: A Sequel to "Little Men". Little Men tells the story of Jo Bhaer and the children at Plumfield Estate School. 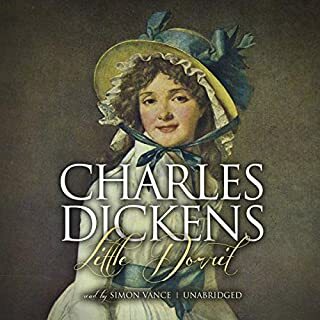 The book was inspired by the death of Alcott's brother-in-law, which reveals itself in one of the last chapters, when a beloved character from Little Women passes away. I don't think there is any need to speak of the storyline of these books as I am sure, like me, anyone who is interested in listening to these stories has probably read them a number of times. Instead I must review the editing .... or lack of it. 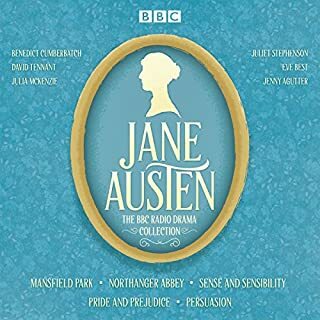 I did not listen to Little Women or Good Wives as I already have an outstanding recording of these two books in another compilation "The Enchanted Collection" so I can only speak of the latter two books, Little Men and Jo's Boys. 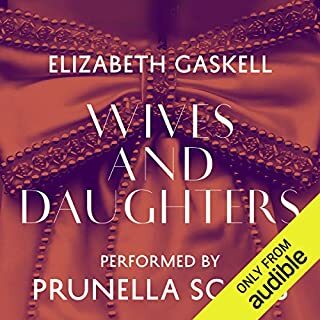 My first impression was how strange it was to hear a delightful British voice narrating this story of an American family. No other accents were attempted whatever the nationality of the character. Then I began hearing phrases in the story repeated. At first, I thought I was hearing things but no .... phrases were repeated. This happened more and more especially in Jo's Boys where you can hear her clear her throat on a number of occasions, a clicking sound and then the phrase repeated. In one instance when the character speaking changes but the narrator reads on then realises her mistake, you can even hear her murmur "Hmmm" before beginning again in a deeper tone to signify a different character speaking. 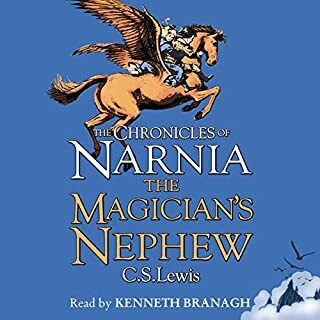 In the end, I found it amusing to listen to as the job of narrating books and making them interesting to the listener cannot be an easy one. Having said all this, nothing can spoil the beauty of these wonderful books by Louisa May Alcott. They were childhood favourites of mine and listening to them some 40 years later, I find they have lost none of their magic in the retelling. The recording is terrible. Constant clicks and repeating of words or sentences. It's very annoying. All too innocent and much to preachy. The performance while lively is marred by poor editing with repeated errors, sentences, pops, and hisses which seemed to get so frequent towards the end I think the producers may have stopped caring. The story was engaging but interrupted with glitches and repeated lines. There were frequent lines repeated and funny glitches towards the end. 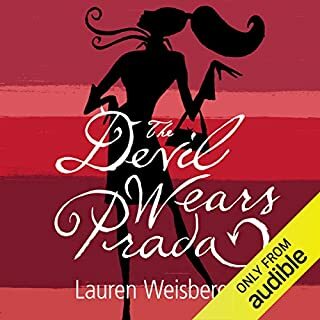 This audiobook was absolutely terrible! I find it hard to believe it was edited at all. The sound fluctuates so dramatically, I had to keep my finger on the volume to save my eardrums. The narrator coughs, clears her throat and clicks throughout. You can hear the mouse clicking, computer sounds , breathing and the microphone is tapped or bumped numerous times (which is very painful to the ears). There are LOADS of repeated words, sentences and entire paragraphs (making the book probably about 10 hours longer than it should have been), as well as sentences where words have been cut out, making it difficult to follow the storyline. The narrator mixes up accents, changing vocal tones and sounds for the wrong characters and there are long gaps of silence mid sentence. 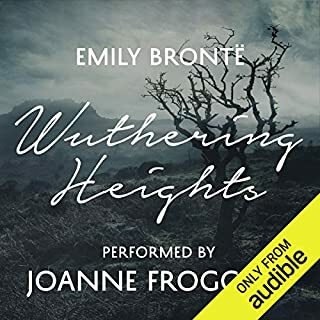 I had to finish listening as I was doing a project on this tale, but I will be returning this audiobook, as I have never heard such a terrible performance. From a very dissatisfied list. Whilst I gave read these stories since a young child, it is in the listening that I have realised the profound affect they have had on my thinking and life. This added to my enjoyment now enormously. Thank you to both the re i rding staff and th e reader. I enjoyed the books thoroughly but they need to find a new narrator. Shame really. Unfortunately, there were quite a lot of technical errors and editing misses. Repeated sentences, hearing this annoying clicker when the narrator marked her mess up. The narrator did a beautiful job of it! She's talented and her voice mellifluous. 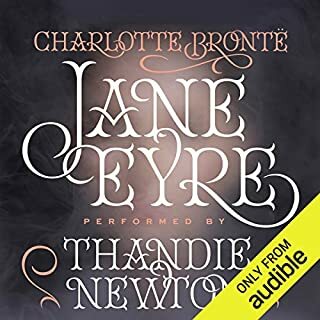 The only thing I wish I'd known before purchasing this was that she is British; I normally love an accented audible book! This, however, is a classic American story.... I don't want to sound negative about the narrator. She really has a splendid talent. It just made such a huge difference and I feel I can't overcome it. So next time I'll make sure to listen to the sample before buying. What did you love best about The Complete Little Women Series: Little Women, Good Wives, Little Men, Jo's Boys (4 books in one)? It was nice to have the whole series together. Each book independent would lose much. Indeed, the end of Little Women would frustrate much more isolated from the rest of the series. This was full of moral and practical instruction for life and parenting. What three words best describe Catherine O'Brien’s performance? - averages 1 repeated sentence per chapter. - Several points where the editing was forgotten as you can here a clicking and restart of a sentence. It wasn't terrible, but it was not smooth. Also, O'Brien's character voices were difficult to differentiate quite often. This needs to be re-edited. The narrator's throat-clearing and restarting of passages are still in there!! There's also a very disconcerting clicking noise whenever she messes up and restarts, like a "hey, start here when you're cleaning it up" but nobody did! I love the stories and so I persevered, but for what I pay for credits, I expect more quality listening than this. The story is great. The narrator does a good job. The issue I have is the poor editing. It's fine at the beginning, then you hear an occasional repeating of a sentence. At first I thought it was the player on my phone. By the end, the reading is full of mistakes, including the narrators clicks to alert the editor of a mistake. Did nobody else listen to the file before publishing? 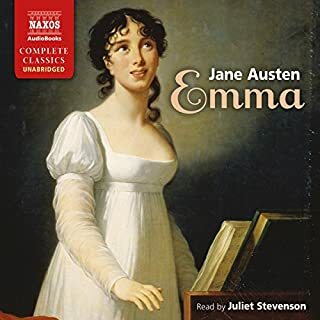 This was a great way to listen to these classics, however the recording wasn't perfect, there were a few times when the narrator would repeat herself and reread the line. Overall, it was good. Little Women, is a classic story I grew up with and have always loved! The girls were all so grown up and matured (even the youngest). Now I have finally gotten the remainder of the series, Good Wives, Little Men and JO's Boys all in one collection. This is what I call a real bargain! This is a long loved comfort book for me with Little Women - It's like going home. 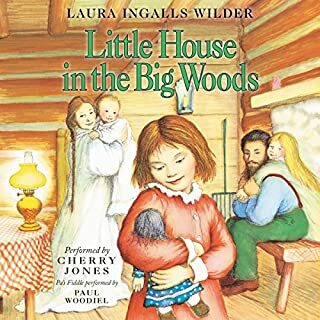 I read this book over and over again when I was a girl! Now I got to continue on with the saga. I got to see the girls grow up and marry and have kids of their own. I got to learn about the men that chose them and I got to meet Jo's Boys in a sense - all thru reading. It is exciting, it is refreshing. The hard times the world had back then and the little things that meant so much to so many. 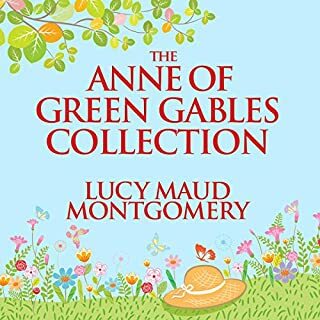 The author, Louisa May Alcott does a fantastic job in all four books! There was never a dull moment when it came to Amy, Jo, Meg and the other 2 girls! Later to see them make new lives for themselves and their children too is such a treat! 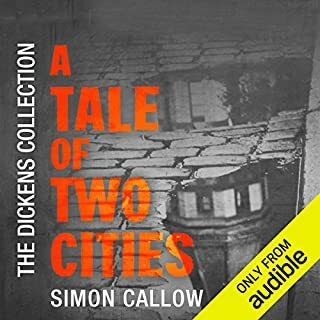 The narrator, Catherine O'Brien does a great job delivering these stories to us and she does it with her British accents. It kind of reminds me of being a little girl, and the librarian is reading to us all in the library - I feel comfort from it. 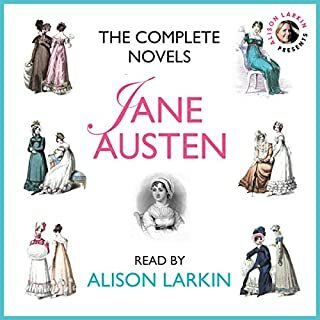 Where does The Complete Little Women Series: Little Women, Good Wives, Little Men, Jo's Boys (4 books in one) rank among all the audiobooks you’ve listened to so far? This is truly a classic work for children and the fact that children love it today is a testament to Alcott. What was one of the most memorable moments of The Complete Little Women Series: Little Women, Good Wives, Little Men, Jo's Boys (4 books in one)? My great-nieces prefer the 1st book over the other works whereas I enjoy "Little Men" and "Jo's Boys" better. This classic story and all of its sequels are wonderful for all ages. However the narrator was not pleasing, and the editing was poor. The story was read with a strong a British accent, although it is an American tale! She also made many mistakes and even marked them with a clicker, but they were never corrected or edited out. She also stopped frequently to swallow, cough, or clear her throat. Many of the lines were duplicated as if they should have been edited out and were not. How disappointing! I used a credit to obtain this reading so I'm not technically out anything but, if I had spent the asking price on this book, I would have been livid. As it is, I'm seriously annoyed. This reading is rife with mistakes and editing errors. At least a couple of times per chapter, (and often many more,) a phrase will be edited without the removal of the original take so that you hear it repeated. Sometimes annoyed sounds from the reader are audible and/or equipment noises can be heard. This sounds like someone recorded it in their living room with an old fashioned two track tape machine. It is such poor quality that I wouldn't expect to pay more $.99 for it despite the fact that it includes four books but I recall that it was rather expensive. Please critically review this book yourselves and reassess it's value. It sounds as if no one actually finished this recording. Every time the narrator made a mistake, you hear her stop the recorder and re-read the section. It's actually embarrassing. The stories themselves are very good. Very dear. 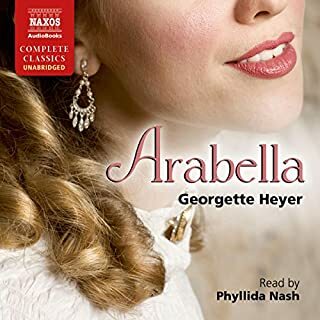 The narrators voice is lovely and I would have liked the finished product, if I didn't have to hear her making mistakes and re-recording!! However, Catherine O'Brian's voice is pleasant and easy to listen to....plus it is 4 classic books in one after all. What would have made The Complete Little Women Series: Little Women, Good Wives, Little Men, Jo's Boys (4 books in one) better? Recording has not been edited. At various points there are pauses, coughing, drinking, mistakes and restarting sentences. Sounds as if it has not been proofed. Very, very poor quality. 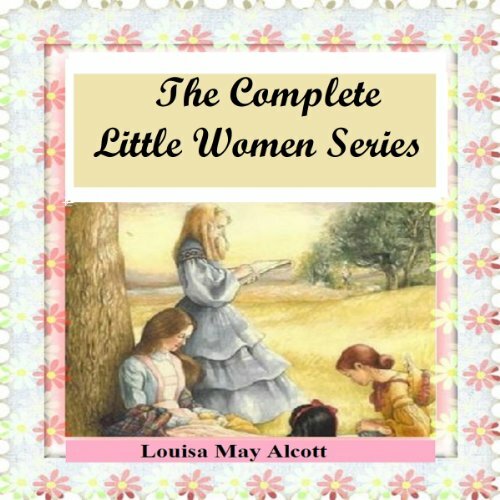 What character would you cut from The Complete Little Women Series: Little Women, Good Wives, Little Men, Jo's Boys (4 books in one)? There is nothing wrong with the books, they are classics for a reason, but the recording is very disappointing. 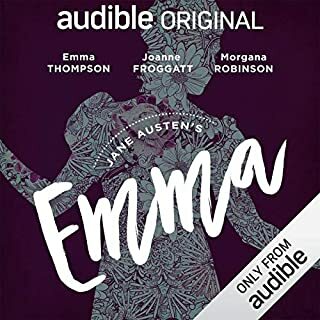 I'm quite surprised that this version is even available through Audible, whose audiobooks are typically of high clarity and sound quality. 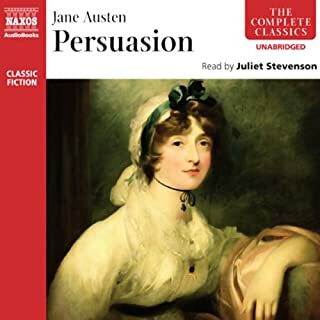 This reading seems not to have been edited as the narrator often repeats a line, coughs and uses a clicking device to mark sections where there are errors in her speech. Fantastic to get four books in one, but at the expense of quality which does not reflect well on the publisher. Narration poor! Would not recommend this version. Lots of blips make it uncomfortable listening. Am going to try another version. I should have read reviews first. Lots of book for your money but not a great recording. What didn’t you like about Catherine O'Brien’s performance? Mis-reads, repeats, coughs and splutters - it sounds like it hasn't been edited at all after being recorded. Spoiled it for me I'm afraid. Favourite stories from my childhood. Terrible recording though. Continual errors in the narration, coughing, repeating sentences and worst of all, an English accent! Should not have been released in this state - editing obviously wasn't finished. The reader is good (NB English accent for classic American story) and it's a lot of listening hours. But seriously Audible, quality control please, people are paying good money! A very moral book but lovely, much better reading as an adult. Good to read all 4 books simultaneously. It is many years since I read these books, a necessary part of growing up when you are a girl. I identified with Jo, wanted to be like Beth and ended up more like Meg or a mixture of them all. The performance was good apart from the recording which seemed not too be as smooth flowing than other stories. There were clickers marking stumbles in the narrative. Then re-runs of narrative which did not cover the section it was correcting. However all things considered this will join my library to be listened to again. I recommend you put up with niggles for the story lives today especially it being the 100 years since the first selection of women received the vote.. The last two books especially promote the rise of women. Would you try another book written by Louisa May Alcott or narrated by Catherine O'Brien? I’ve bought the four books in the series, but based on the narration, I’m struggling to get through the first book. It was badly edited, repeating the same sentace and coughing spoilt the story. These are some of my favourite books from my childhood, but the are being spoilt by the poor editing and sloppy narration. Was it not checked before publishing? Very poor.